PUTRAJAYA: Dr Mahathir Mohamad says China Communications Construction Company Ltd (CCCC) has agreed to refund part of the RM3.1 billion advance payment for Phase 2, Double Tracking and Northern Extension, under the original contract for the East Coast Rail Link (ECRL) project. The prime minister said RM500 million will be refunded within a week from April 12, and a further RM500 million within a month of the same date, a total of RM1 billion. “The balance will be settled within three months after deductions for verified claims due to abortive works, suspension and cancellation of the Northern Extension,” he said in a press conference on the project here today. This follows Putrajaya’s announcement on Friday of a RM21.5 billion reduction in construction cost for Phase 1 and 2 of the ECRL project. It said the cost was reduced from RM65.5 billion to RM44 billion after the signing of an agreement between Malaysia Rail Link (MRL) and CCCC. The project was initially suspended by the Pakatan Harapan (PH) government due to its high cost. Critics of the project questioned the claim by the previous government that the ECRL would spur growth, with many labelling it an effort to cover up issues related to the 1MDB scandal. Daim Zainuddin, the prime minister’s special envoy who had led negotiations on the project, said several stations along the new route, including the Gombak station, have been scrapped. The new alignment, which has been cut by 40km from 688km to 648km, will also have a new station in Jelebu, Negeri Sembilan, he said. In the press conference today, Mahathir said the improved ECRL deal would see a substantial reduction in loan amount from China-Exim Bank. He said under the original agreement, the total project cost was RM66.7 billion. The loan amount from the bank, at 85% of the project cost, would have amounted to RM56.7 billion. “The reduced amount is still being negotiated with China-Exim Bank, and we envisage that this will result in lessening the financial burden of the government in terms of the principal repayment amount, total interest costs and other fees,” he said. Mahathir said CCCC had also agreed to participate in the operation and maintenance of the ECRL through a joint venture company to be set up, at 50:50, between MRL and CCCC. He said CCCC would provide technical support and share the operational risk after the project’s completion. “This arrangement will ease the financial burden on Malaysia, which previously was to bear the entire cost of operations and maintenance. “Malaysia can also leverage on CCCC’s expertise in operations and maintenance, hence improving the long-term viability of the project. “We are confident that CCCC’s involvement will attract and spur investment along the rail link corridor, especially from China,” he said. Mahathir, who is PH chairman, said the percentage of local participation had also risen to 40% of civil works, from 30% under the original agreement. 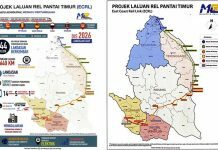 The new completion date for the ECRL has been revised to Dec 31, 2026, from the initial June 30, 2024. On how much of a reduction there would be in the interest rate, Mahathir said they were still negotiating. “When we reduce cost, the interest rate also goes down. But there may be other areas where cost is reduced. This will be worked out later on,” he added. 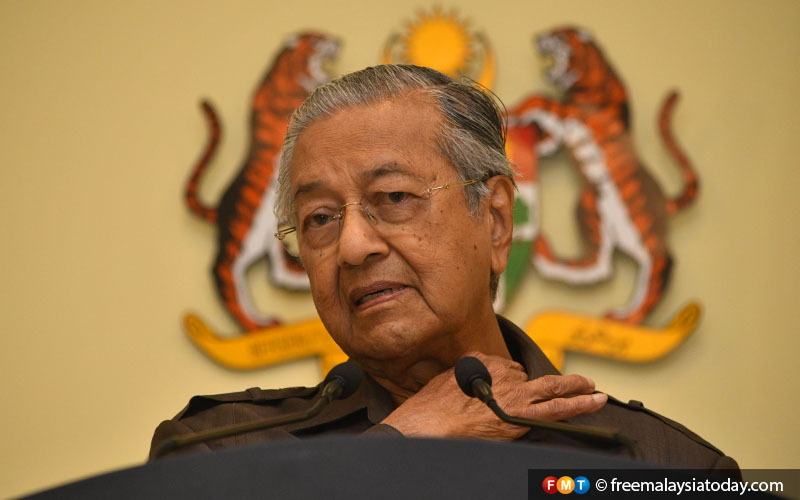 On why there was a need for CCCC to handle operations and maintenance, Mahathir said nothing was stated in the original agreement about Malaysia’s share of the construction. He said the project would begin “as if there has been no interval between the stoppage of construction and the beginning of this new construction”. “Payment will be made on a progress basis, not according to timeline,” he added. Najib: Kontraktor ECRL dapat tanah sekitar stesen kereta api?